GraMag semi truck seat in burgundy leather with air suspension for aftermarket seating for International, Freightliner, Kenworth, Volvo, Peterbilt semi trucks. 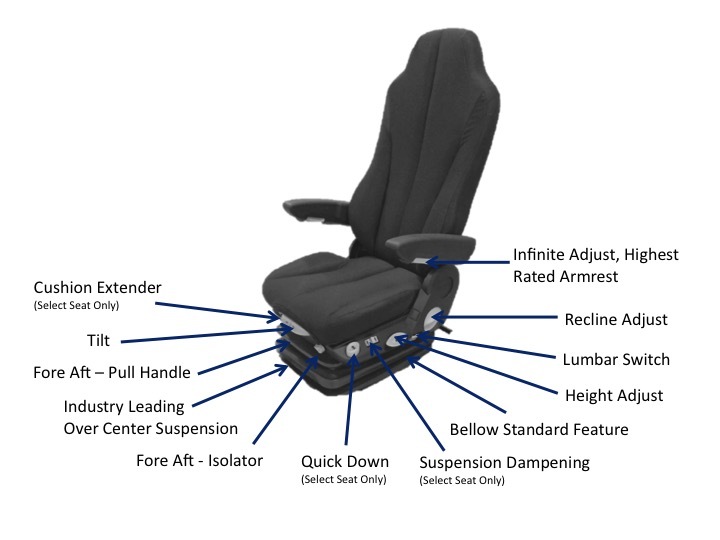 On-Highway seat ideal for long haul environments. Seat provides superior support and comfort for all day travel.